Of woven espadrilles "stem" cotton, sewn one one hand, lower crest which the traditional espadrilles. Male, elegant and natural. This model triumphs among our customers, since they are a good alternative for our feet to "breathe" during the summer season. -Blue marine, a Basic for this model. -Burgundy or Garnet, masculine and elegant color. -Brown, very wearable and easy to combine. Espadrilles, esparteras, sea cucumbers, espadrilles... no matter how we call them the espadrilles are a basic footwear for the summer, this model with the canvas woven spike looks great to combine with a Bermuda shorts, or jeans, it is perfect even for use with a linen suit, giving a very Mediterranean touch to our look. The instep is 100% canvas cotton, natural, soft and breathable material. It has a little more Pompadour under classic espadrilles. The plant is of authentic esparto, material 100% natural which improves foot perspiration. Thanks to its quality and nature are longer lasting than other fibers that tend to fray. To increase the duration, the sole has a sheet of rubber Vulcanized hot, which makes del esparto and paste to merge without the use of adhesives. Canvas uppersand the soles of Esparto grass are hand stitched with beige cotton thread, one by one with short stitches, which gives a plus of duration with respect to other espadrilles. Confeccionadas keeping foot, i.e. each pair has left and right. Sent embasadas boxed. 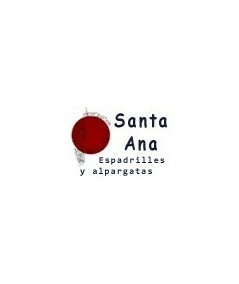 La Rioja (Spain) made by Santa Ana, authentic craftsmen. The esparto espadrilles are immune to fads and the passage of time, each summer become an alternative economical, comfortable and very wearable on numerous occasions, giving a Mediterranean air and casual to our look. Choose your favorite color and enjoy nature with your new sandals!